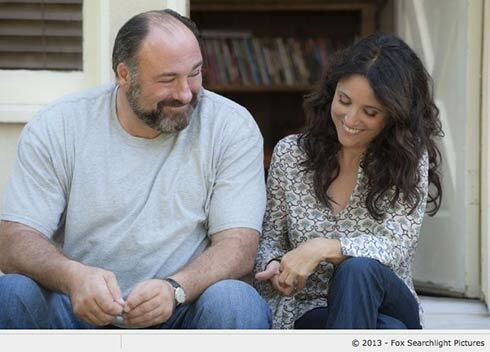 Enough Said , written and directed by Nicole Holofcener (pictured at the top), is about love and family and trusting yourself and about letting people be who they are. There are a number of storylines running through Enough Said . 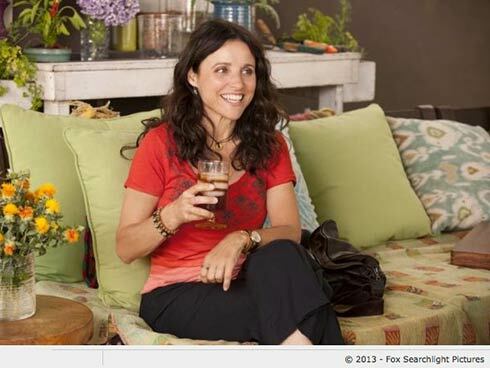 The basic story between Julia Louis-Dreyfus as Eva and James Gandolfini as Albert is a girl meets boy, girl loses boy, girl gets boy kind of romance. The twists in this timeless plot are provided by the insecurities in Eva and her lack of trust in her own judgment. Subplots abound from the supporting characters, including Albert and Eva’s daughters who are both heading off to college. Catherine Keener plays Albert’s ex-wife, who savors a poisonous penchant for dishing about Albert’s quirks. Toni Collette and Ben Falcone play friends of Eva’s with their own set of quirks. It’s a simple, quiet story about characters who feel absolutely real and who make you laugh. In this tale about a woman, there are no gun battles and no crazy sci fi plot points. It’s refreshing. Bring me dozens more of these, please. I completely recommend Enough Said .